“Our revenge will be to survive,” says the character Ana to Michael in the feature film, The Promise. This lesson introduces students to the efforts by genocide victim populations to respond to the violence against them. Using the feature film, The Promise, students are guided through readings, discussions, and exercises about the Armenian Genocide and the different forms resistance can take. After learning about the Armenian Genocide and the resistance at Musa Dagh, students explore various aspects of different forms of resistance against violence. Teachers can contact The Genocide Education Project to request a DVD of The Promise which producers have made available for classroom use. Also download Sara Cohan’s article from Social Education, “A Brief History of the Armenian Genocide” for this lesson plan. 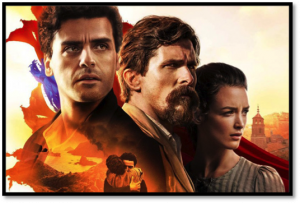 The Promise producers created this study guide to provide historical context to many of the key scenes.